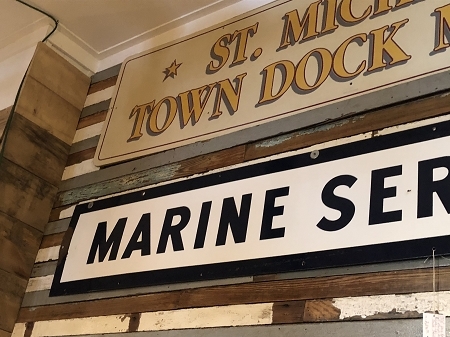 1950s Gulf Marine Service porcelain sign salvaged from New Jersey. Fantastic condition. 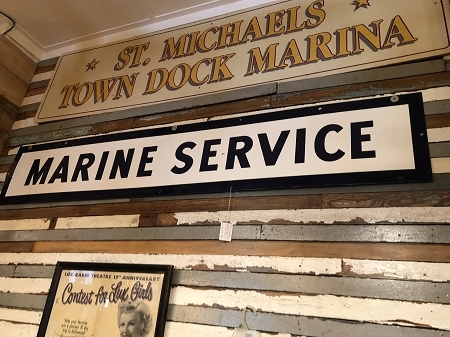 This rare sign is double-sided and would look fabulous hanging from a rafter so you can appreciate both sides. Seriously, this is a huge find for us. 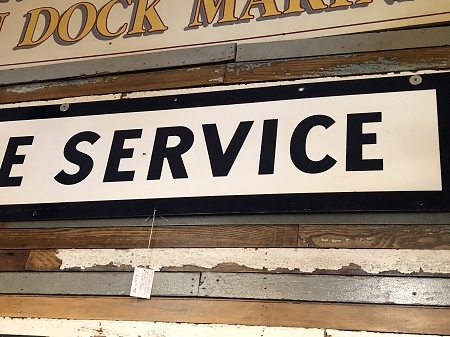 Not many porcelain signs out there are in such great condition!